Where do I even begin? 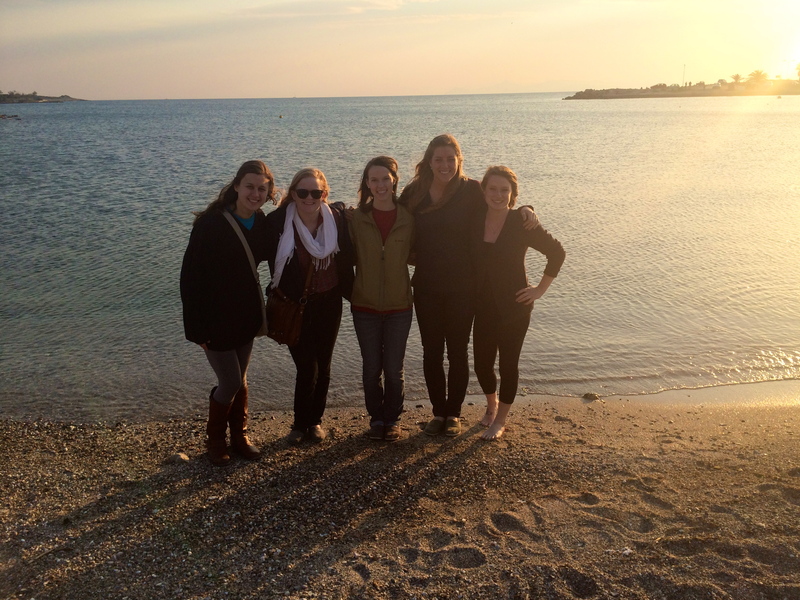 Greece was more than I ever hoped and dreamed. Sounds cheesy, but it was the highlight of my life thus far. I guess I’ll start at the very beginning. I left on a bus to Atlanta on a Friday night, and I still hadn’t grasped the fact that I was about to fly overseas for a week. Truthfully, the week before was very rough. Projects, midterms and work left me no time to prepare myself for the trip ahead. Of course we had attended meetings, watched videos and fundraised, but I don’t think I could have ever been fully prepared for my first out of the country mission trip. However, I was overwhelmingly exhausted from the week before, and was worried that the exhaustion would carry over, in addition to the jetlag of a 7 hour time difference. It was also my first time flying. Luckily, I have always and forever wanted to fly (see bucket list) and pretty much loved it, despite the fact a young child cried behind me most of the night. We had a short layover in London, where I bought a post card and talked to a British man about Starbucks. SN: British Starbucks tastes the same as American Starbucks. 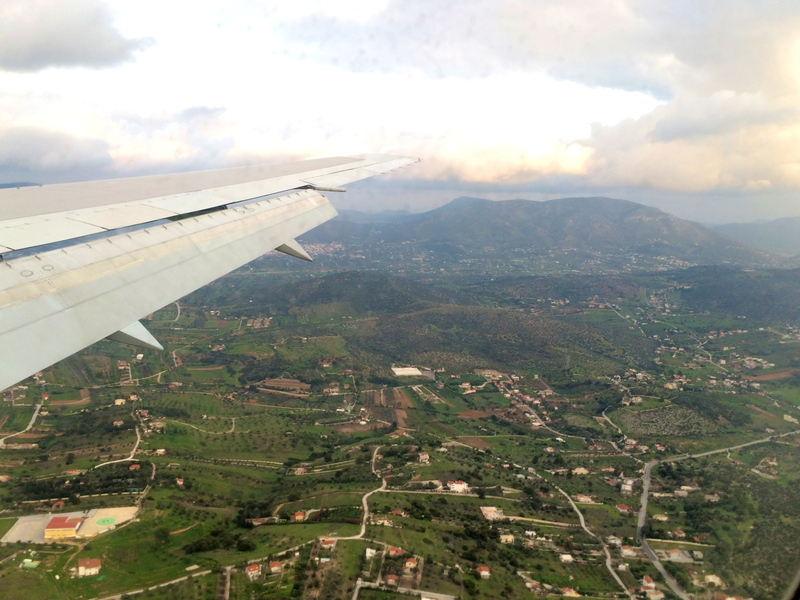 Just as we were boarding our flight to Athens, we saw that Flight 370 had just gone missing and presumably had crashed. Unsettling, but I was honestly too excited to worry very much about my own safety. If God wanted us to get to Greece, it would happen. I’m very glad it did. Flying over Europe was a beautiful experience within itself. 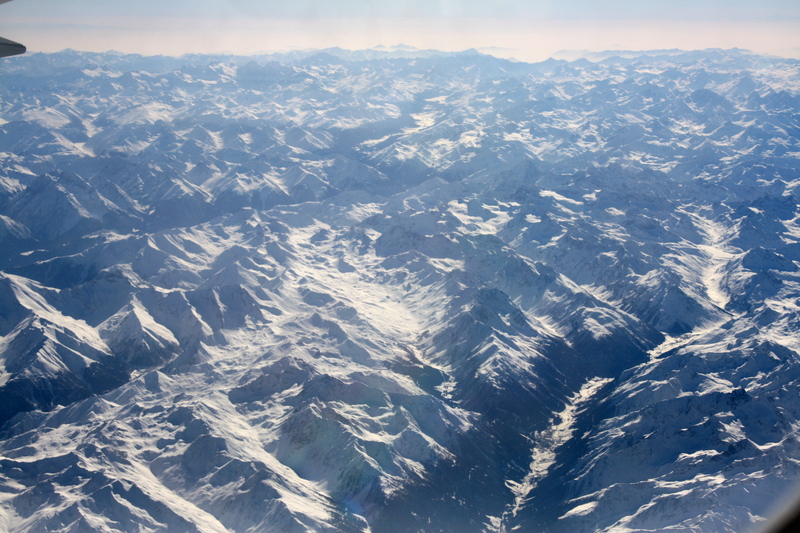 Seeing the Alps from above was a act of worship for me, and was very peaceful yet overwhelming. I had never seen anything so magnificent before, and it was the first time I truly realized the vastness of God’s creation. The whole earth declares His glory. We got though the airport in Athens and got on a huge charter bus. We all met Alex for the first time, who is on of the primary missionaries we worked with. Alex is a native of Greece, but spoke excellent English. 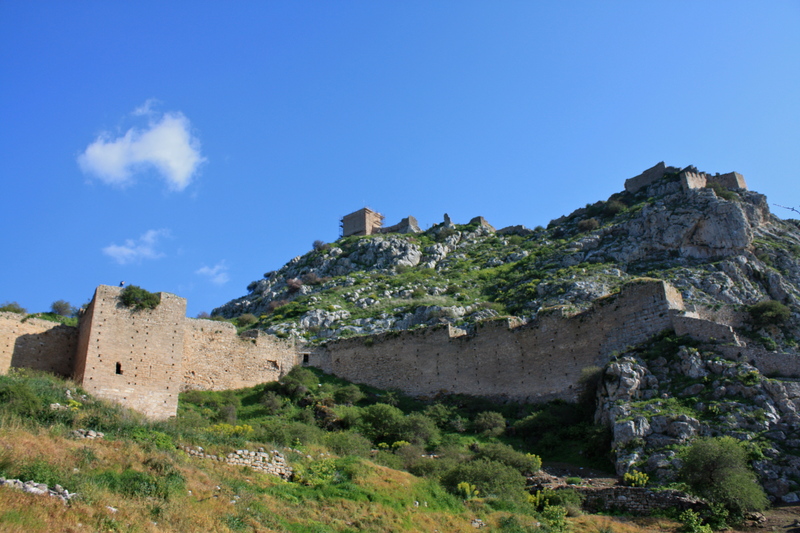 In fact, most Greeks speak fairly fluent English, as they have practiced it for years in school. We got to our hotel, which was very different from American hotels. 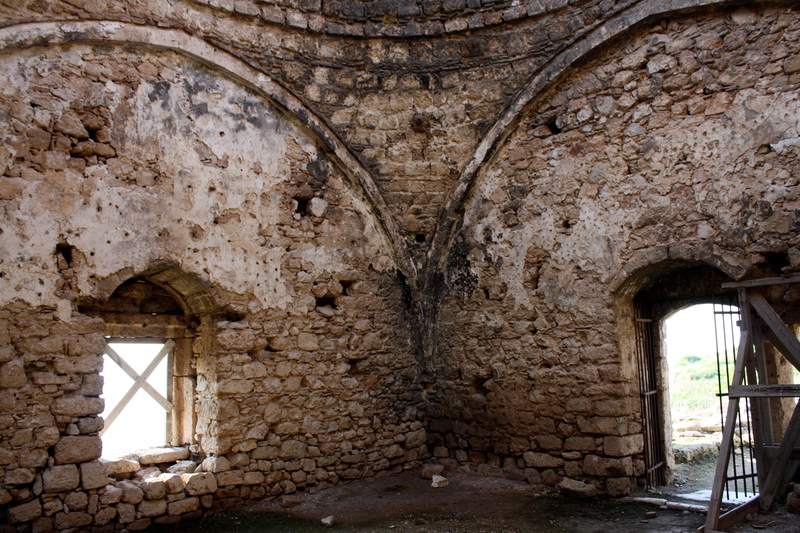 It was four stories with a roof, and each room was very small and fit one or two beds. Some rooms had bathrooms inside, but Brittany, my roommate, and I had to use a community bath. It reminded me a little of dorm living, except most of the showers were freezing and we couldn’t throw away toilet paper. 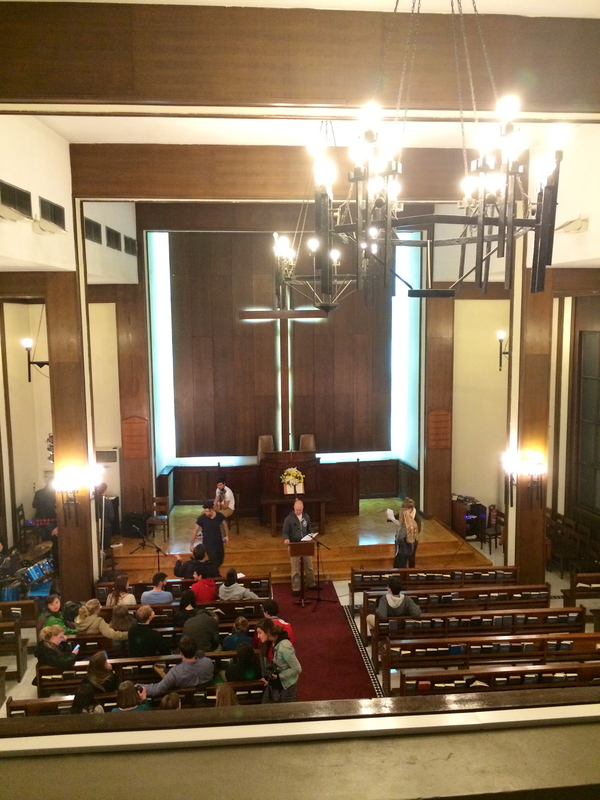 After all forty of us got into our rooms, we went to dinner in First Evangelical Church’s fellowship hall. The church was the larger evangelical church that we worked with throughout the week. It was very nice, but what probably shocked us most of all was the food. Members of the church prepared a greek feast for us complete with olives, feta, tomatoes, pita, tzatziki sauce and meat. Plus homemade cheesecake that blew my mind. We ate similar meals most nights, and we probably all gained weight, but I regret nothing because no Mediterranean dish in the US will ever compare to the food those precious greek women prepared for us. The next day was Sunday, and all of the UGA students went to church at First Evangelical. Many of the hymns we sang were also hymns used in America that we sang in English while the naives sang in Greek. This was one of the most amazing parts of the trip to me, as we were all singing the same hymns, in different languages, side by side. Talk about worship. Giotis, the minister of the church, delivered a message (in Greek) about love. He spoke about God’s love and how that should impact us. He read from Romans 8:4-15 and Ephesians 4:25-32, and we could tell from his energy and words how important the Gospel is to him, and how he has a gift to share it. We were given headsets, through which we listened to the sermon in English by a live translator. He had studied at Oxford and spoke as if was a 19th century English bureaucrat. He was also excellent at translating, so we thoroughly enjoyed listening to him relay the message to us. We had a free afternoon, so we made plans to go to the Acropolis. We all explored the beautiful structure and marveled at the effort that must have gone into building so much with so little technology. 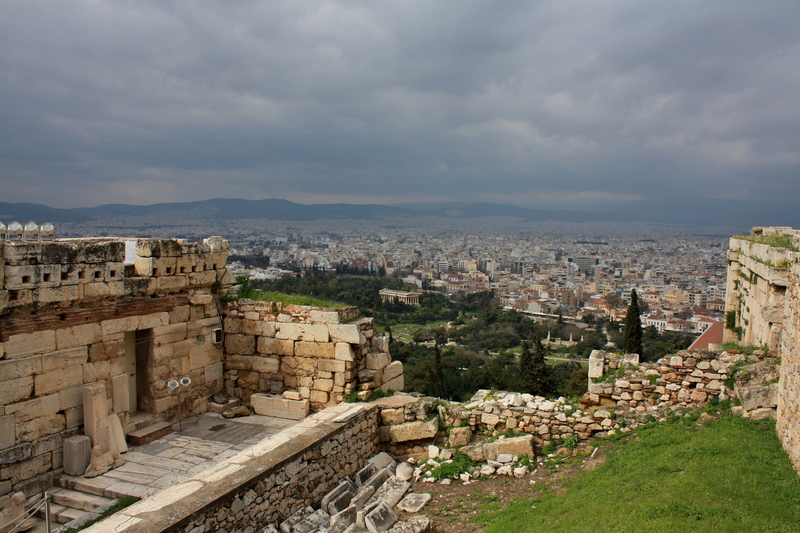 The top of the Acropolis was so windy that we were having trouble walking. 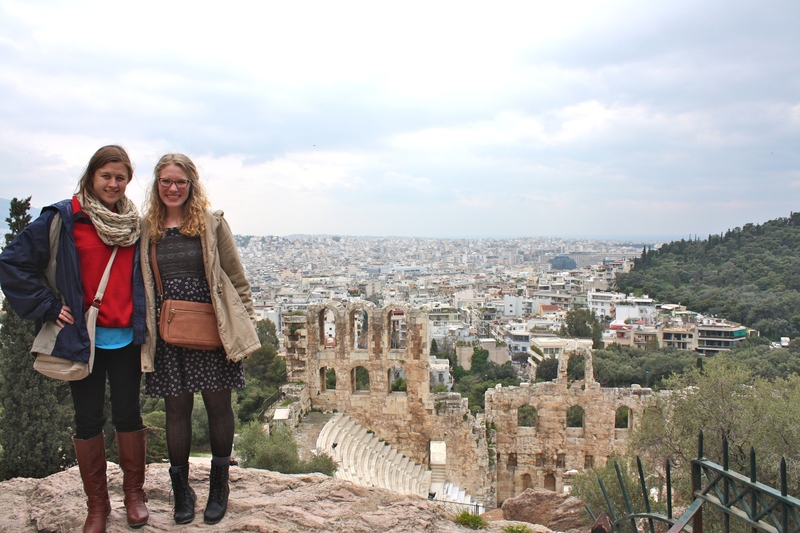 After the Acropolis, we continued to explore the city on our own, and I had my very first authentic gyro. I still crave them all the time. We visited the Acropolis Museum, where housed many old statues and other carvings from the area. Sunday evening, we held a special service at First Evangelical that was half Greek, half English. My campus minster spoke and one of the missionaries translated. We also sang some songs in English and some in Greek, and some of our students led worship during the English songs. Afterwards, we were served an amazing meal once again. This time, some of the college-aged church members ate with us. This is when I met Iris, my ‘Greek Sister.’ Iris would become my closest Greek friend, and my biggest encouragement on the trip. Iris is a remarkable person from every aspect. However, the most amazing thing I noticed about her was how strong she is in her faith, although she doesn’t have many Christian friends and is surrounded by Atheists and Anarchists. She is extremely wise and still encourages me, although we are oceans apart. I’m sure everybody reading this is beginning to doubt we even went on a mission trip. While we had fun throughout week, Monday we began serving in various ways. Monday, Tuesday and Wednesday we split up into four groups. Each group went to a different college. Unlike America, college campuses in Greece are separated by concentration. Essentially, there are no core classes, and the students have to take a test to get into their college of choice. My smaller group went to the law school, where students studied law, politics, economics, etc. Within each group, we split up into pairs to approach students and conduct surveys. The survey was given to us by the church, and asked questions about the student’s views on religion, the Greek Orthodox church, and God. The surveys were to be used as a conversation starters so we might get to know the students and build relationships. We were encouraged to invite students to a casual party that would be held at the church in Exarcheia Friday night. Luckily, most of the students are fluent in English, so we didn’t really need to worry about a language barrier. Our group was forewarned that the law students would probably be the most difficult to reach. Many of them are political extremists, and most had turned away from the church and depended on logic for their beliefs. The first day was the hard for us. I think we were all shocked by the campus alone. Police are not allowed to step onto college campuses because of recent unrest, so almost every surface is covered in graffiti and political posters. Students run tables with posters about political events or views. To top it all off, the school had so many administrative issues earlier in the year that it had to postpone the beginning of the school year and many staff members were fired. The students took over what used to be a cafe, and had covered the walls with news articles, pictures and more graffiti. The appearance was fairly chaotic, but the students went to class and hung out, just like Americans. I was partnered with my friend Caleb, and we had a rough first day. We practically had to corner the few people we talked to, and none of them were interested in continuing the conversation at the end of the survey. It was awkward, and nobody we spoke to had any interest in religion. Most of the pairs in our group struggled the first day as well. We all had to remember that our goal wasn’t to save the souls of the students, but to show God’s love and to build relationships that would be encouraging to them. We met back at First Evangelical, grabbed gyros, and split up again. Most of us went to the church plant in Exarcheia, which is where I worked for much of the week. We were assigned jobs, and I worked with few others to clean out the basement. Before I go any further, I’ll clarify that this church used to be a house. 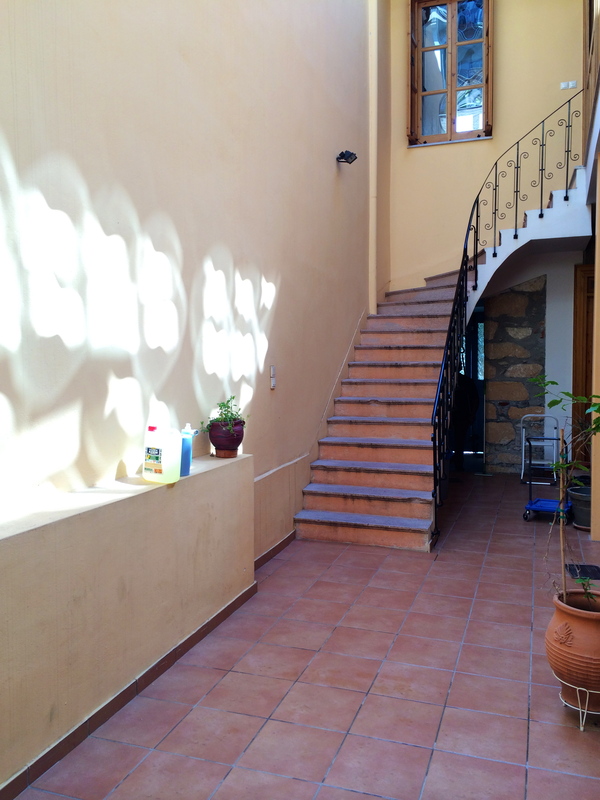 It has a kitchen, an upstairs, a bedroom, a basement, and an open roof common area. The previous owners basically just threw all of their stuff in the basement, so we took all of the items upstairs, sorted through it, cleaned the basement, and reorganized everything. I should also clarify that the basement was very tiny, and the amount of things that came out and went back in was shocking. In the meantime, other people cleaned and did maintenance work. Before the second day began, I had to really come to terms with the fact that I was not going to save all of the law students. I was forced to remember that I was there for God to work through me, not for me to look good. Pride is so hard to set aside. I prayed that God would use me and that He give me wisdom as I interacted with the students. God is good and hears prayers, and the next morning at the law school was much better. We spoke the entire time with a group of first year girls who wanted to know everything about America. We even talked a little about church. One girl said she was religious, and went to church on holidays and prayed regularly. The others were not very interested, but confided that they believed in a higher power. I was able to share a little bit of what I believe, which was encouraging to me although it wasn’t a life changing moment for them. The only way these students would could ever understand that faith isn’t confined to the doctrine of the Greek Orthodox church through is Jesus, not me. That afternoon, one of the missionaries took us to eat at a “very authentic Greek restaurant” where I had an amazing eggplant, marinara and cheese dish. Once again, we ate very well. 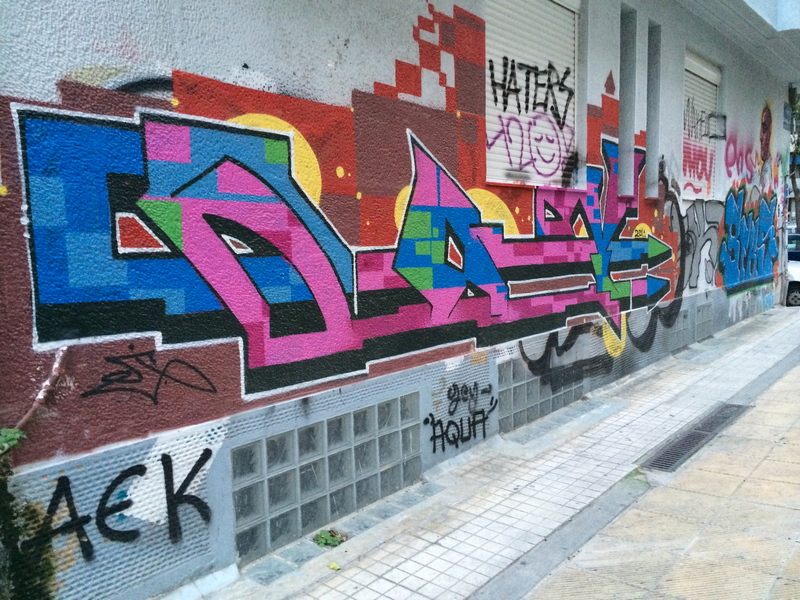 I then spent the rest of the day working in the church in Exarcheia. 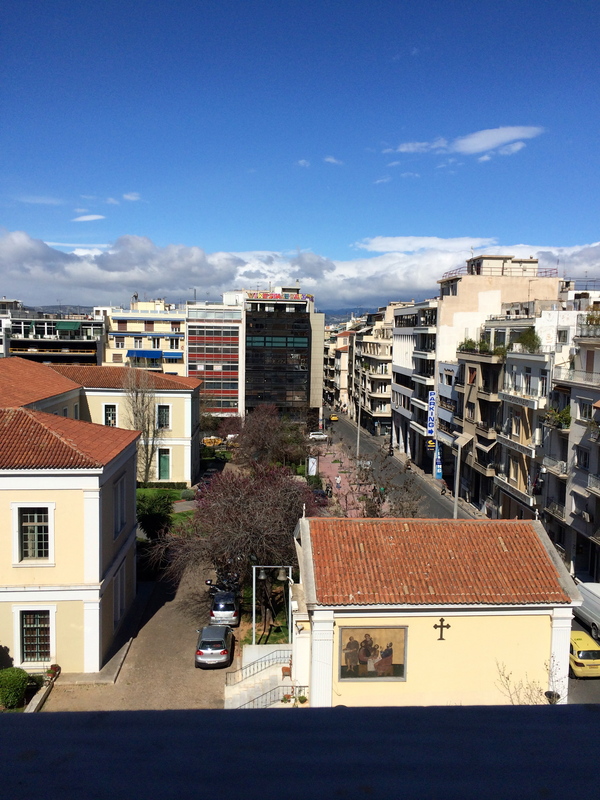 After visiting the law school on Wednesday, I volunteered to go to Glyfada to do a few surveys for a church plant. 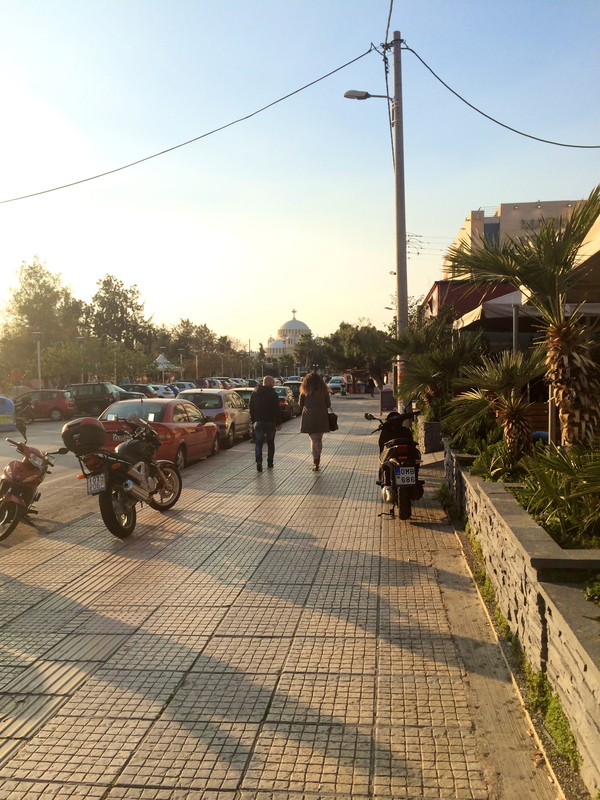 Glyfada is one of the richest areas around Athens, and it was very different from Exarcheia. Novelty stores lined the clean streets where people walked around in very nice clothes. The purpose of conducting street surveys was mostly to provide information for the church plant. We gathered a lot of opinions about what the natives wanted to change about Glyfada and I was shocked at some of the answers. People suggested a motorcycle lane to help traffic, more reading clubs and better sidewalks. I couldn’t help but think about the poverty and unrest that filled the city just a few miles away. Throughout the afternoon, something the Glyfada missionary told us on the metro stuck with me. When asked about starting a church in this area, he responded, “rich people need Jesus too.” Such a simple and truthful concept, and yet I forget this all too often. However, I will never forget seeing those words lived out in Glyfada. 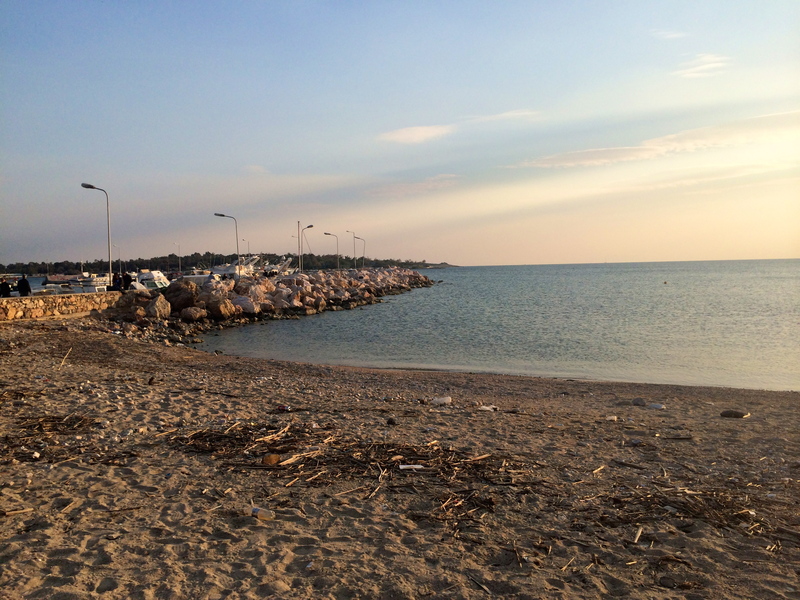 After giving surveys for a while, we were able to stop by the beach in time for the sunset, as Glyfada is located on the shore of the Aegean sea. The water was beautiful and clear, and there were a lot of rocks around the beach. Once again, I was struck by the absolute beauty of creation. After the sunset, we took the metro back to Exarcheia for a meal. 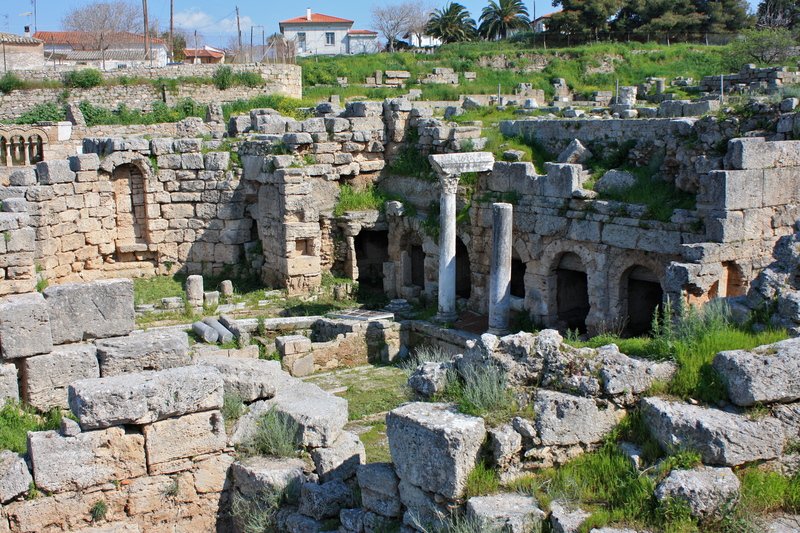 Thursday was the day we went to Corinth, and we were all very excited to visit where Paul lived hundreds of years ago. Our tour guide, Bola, was a member of First Evangelical, and also one of the most knowledgeable people about Paul that I have ever met. She taught us a lot about ancient Greece on our road trip, which was about an hour and half bus ride. 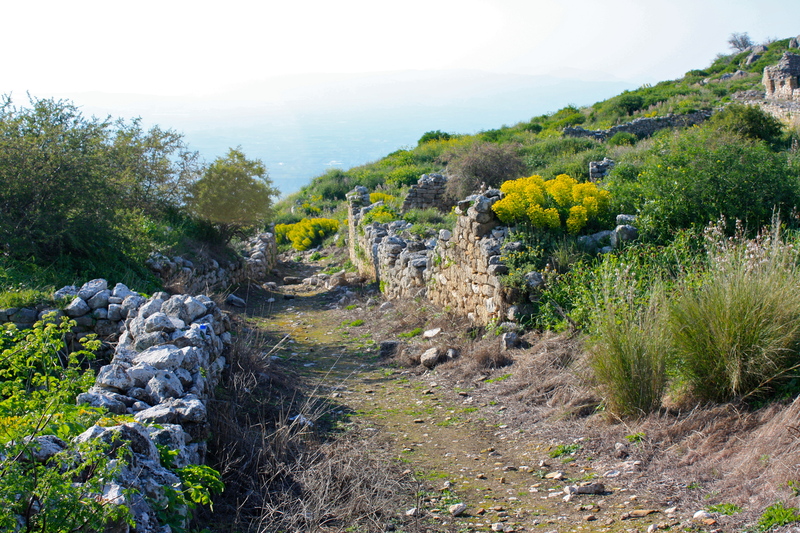 We stopped to explore the Gulf of Corinth, and the drove to a huge, gorgeous field of yellow flowers. 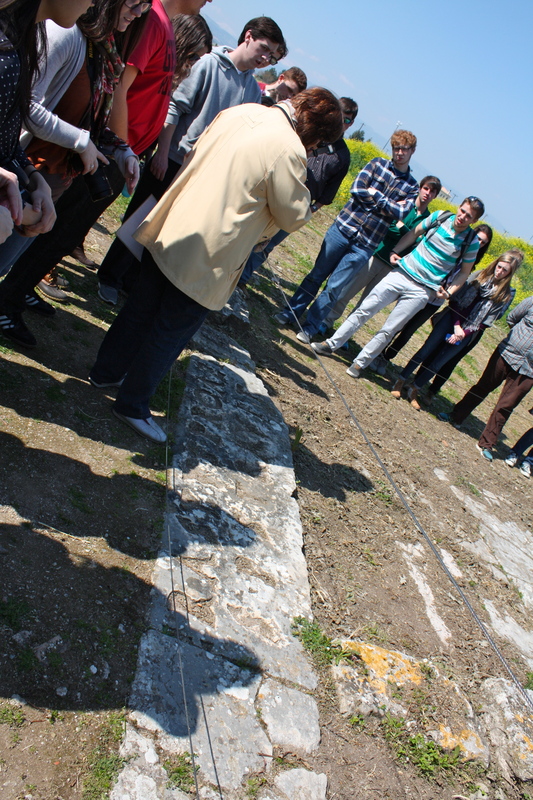 In the field, we visited a large inscription with the name of Erastus who was treasurer of Corinth around 51 AD. Erastus is mentioned by Paul in Romans 16:23, 2 Timothy 4:20 and Acts 19:22. It was phenomenal to see physical proof a person from biblical times. 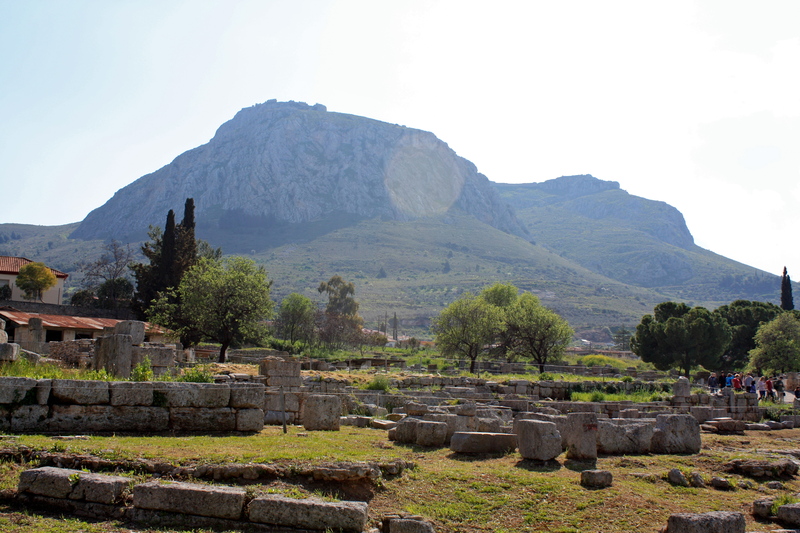 We climbed up a hill and walked through the Archaeological Museum of Ancient Corinth, where we saw statues, pottery, and mosaics. Everything within the museum was amazingly intricate and beautiful. 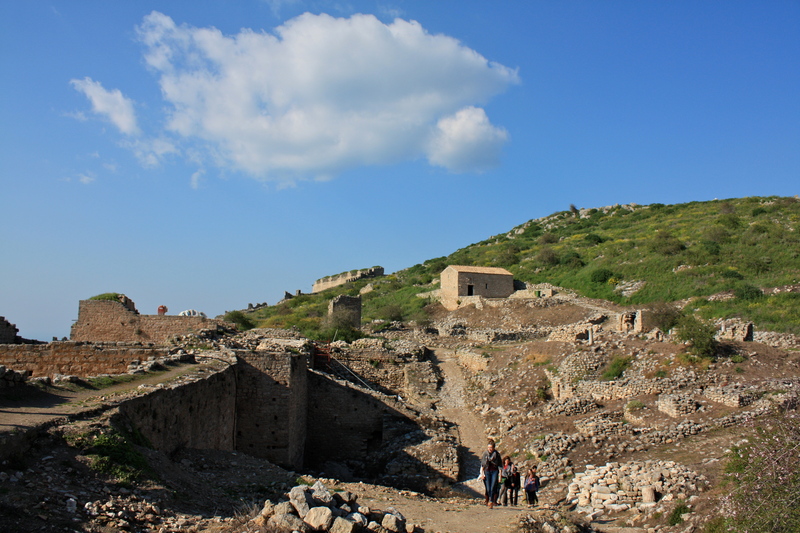 We then begin to walk through the ruins. We explored the town square, and were able to climb the bema, or judgement seat, in the middle of the square where Paul was tried for opposing the law with his beliefs (Acts 18). 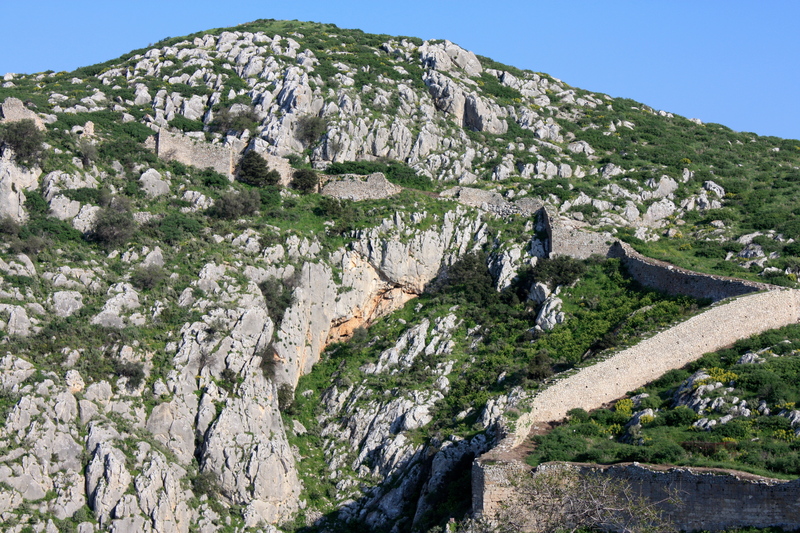 After lunch, we drove up a huge hill to explore the Temple of Aphrodite, aka the Acrocorinth. 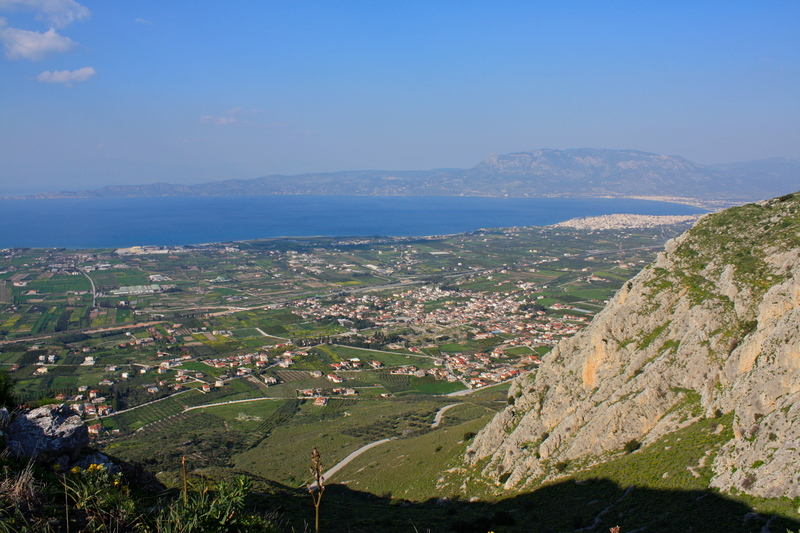 We explored the ruins of the castle structure, and we had an amazing view of Corinth and the gulf. Once again, we marveled at the effort it must have taken to build such an amazing structure on such a high place. We also marveled at the beauty and vastness of God’s creation from such a new view point. The blue water, the green grass and the yellow flowers all combined to make a beautiful scene. It felt like we were standing on the top of Greece. On Friday, some students went back to the schools to survey, but I volunteered to go to Exarcheia to help prepare for the party that the church would host that night. In the afternoon, we all went to Mars Hill to clean up trash from the rock. Mars Hill is a famous landmark where Paul spoke to the people in Acts 17, and once again we were excited to stand where Paul stood. In addition to being a tourist attraction, the hill is also a hang out spot at night for locals. Consequently, cigarette butts and broken glass from bottles were everywhere, and there was still a a good bit of trash even after an hour of cleaning. After we finished, one of the missionaries read Acts 17 to us, which was awesome to experience. 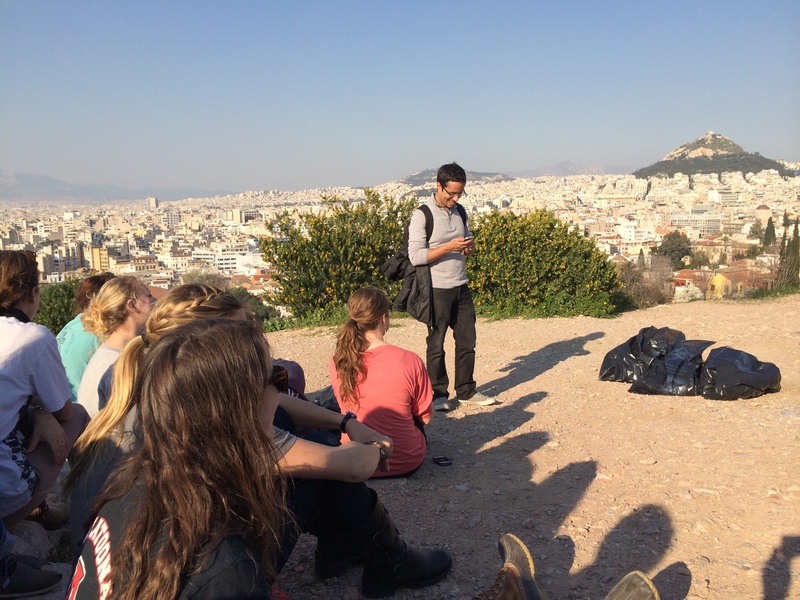 Listening to the words reminded me that God is at work in Greece, just as he has been for thousands of years. That night, we were all a little nervous that nobody would come to the party, as many of us struggled to build relationships throughout the week. We were all trusting that God had a great plan, regardless of how many people showed. However, we were very thankful when small crowd of college students began coming through the door. I’m not exaggerating when I say I had more fun that night than I ever have during a party. It was a big, loud multicultural gathering. We attempted to learn a couple of traditional Greek dances. I and a few friends decided to teach some of our new friends some popular American dances. None of us really got the moves to the new dances, but just learning and having fun with the students was phenomenal. The night was a little sad as well. All of the UGA students knew we were going to have to leave the next morning, but I was most sad about leaving Iris. We said our goodbyes on the sidewalk in Exarcheia, and I have to believe we will meet again some day. Our leaders had to practically drag us from the party sometime after midnight. We left our hotel around 5:30 the next morning to catch our flight. We were all very sad and tired, but being able to see the sunrise over Athens was a beautiful sight to behold. I absolutely would love to return to Greece as soon as possible. If you are reading this and supported me with prayers or money, I can never thank you enough for helping me throughout this incredible opportunity. I was immensely encouraged on this trip because I was reminded yet again that God is always at work doing big things, even when I can’t see it. Please continue to pray for the churches and people in Greece, as there is much distress and unrest. Pray that God will continue to use those churches and missionaries to reach the hundreds of broken people around them.